Order – Maxx Metals, Inc.
Me ( Ed Shuba ) being one of the owners of Custom Metal Mfg. Co. in Belmont, Ca. Maxx Metals opened their doors just when we needed it the most, a lot was changing in the close neighborhood here, Steel Suppliers were changing hands, prices were going up, we were worried about our next Steel Purchases. Maxx opened up and we’ve been loyal to them ever since. period. Andy runs his business quite like my brother & I run ours. We look at the quantity of customers, not the margin of Profit, it’s quite simple. No job is to small, a customer’s needs is never too small. I say this in absolute confidence. 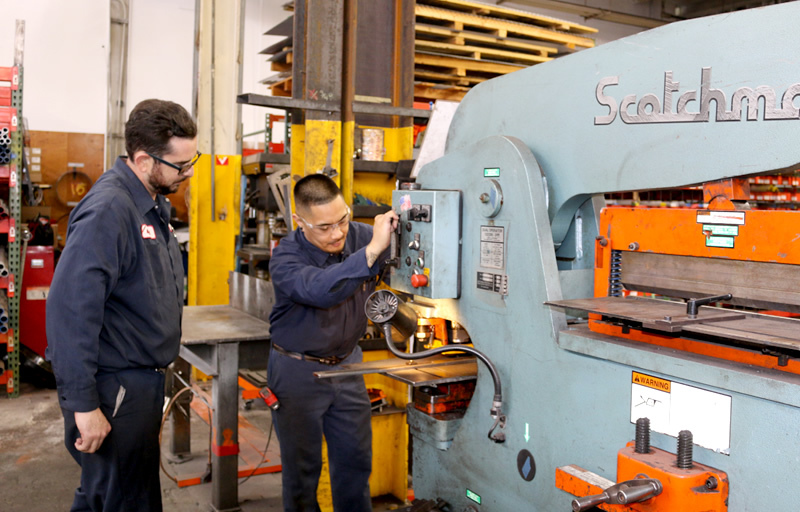 When you own your own company, you need to provide the utmost in quality & service, That’s what you get at Maxx Metals. Andy, if you didn’t start Maxx Metals when you did, we may have not been in business as long as we have. Thanks Andy! Ed ShubaOwner of Custom Metal Mfg. Co. In the many years of doing business with Maxx Metals. I know that when i need a quote or delivery; Maxx Metals will do what it takes to make it happen. They supply quality merchandise at the best cost. The staff is friendly and they all help to expedite your order. I am writing this letter as a testimonial for Andy and his staff at Maxx Metals. I have been buying all my metal from Maxx Metals since they opened for business. The service we receive from all of the staff at Maxx Metals is impeccable. If there is ever a problem with our order, which rarely happens, they are quick to resolve the issue. I would recommend Maxx Metals for all of your metal needs over any other supplier in the Bay Area. Kurt SmithPresident of Handcrafted Metals Inc.
Maxx Metals has been a great help to us ever since they opened. The service we receive is excellent. Everything we order is either in stock, or it takes only a day to get. We are located on the same street, so we go there at least twice a day. We also use Maxx for services such as galvanizing, cutting & shearing. It is great to be able to get this all from one source.